Double vinyl album, 180 gram, featuring 16 new recordings. 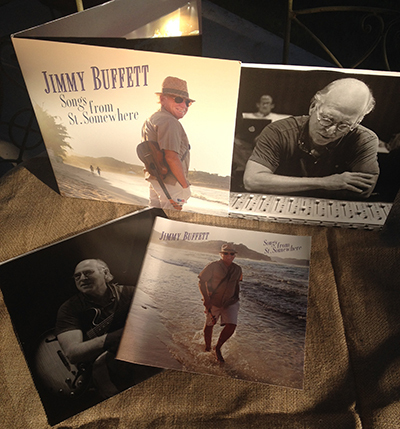 The album was recorded Spring 2013 in various locales including Key West, Nashville, Austin, Miami and St. Barts. The first single, "Too Drunk To Karaoke" is a duet with Toby Keith. Other song titles are "Somethin' 'Bout A Boat", "Einstein Was A Surfer", "I Want To Go Back To Cartagena", "Tides" and "Useless But Important Information"
Vinyl version includes two-discs, picture sleeves and an eight-page insert with pictures and lyrics.